MFA Products of Design student John Boran Jr. is using the VFL to make an out of this world experience. 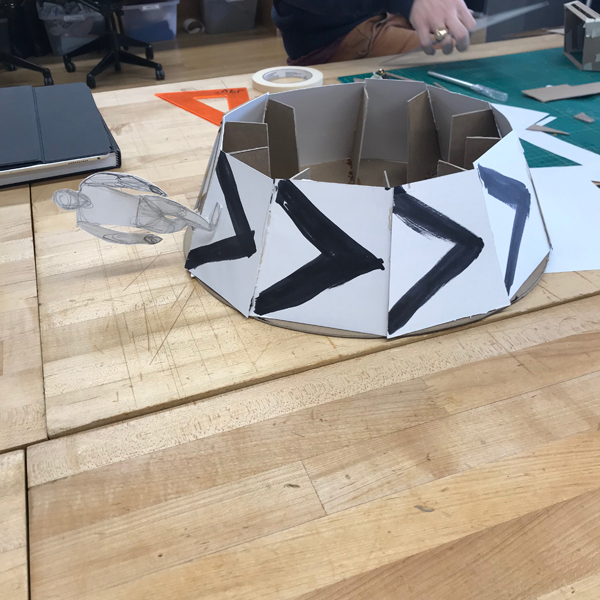 Starting out with a hot glue gun and cardboard prototype, John is working on a walkway for a Mars gravity simulator. The final project will be 16' across and made in part using the CNC machine. Ultimately, when the simulator is done a person will be able to strap themselves into a harness that will be elevated 25' off the ground and walk with 62% of Earth's regular gravity (to mimic Mars' gravity which is 38% of Earth's).